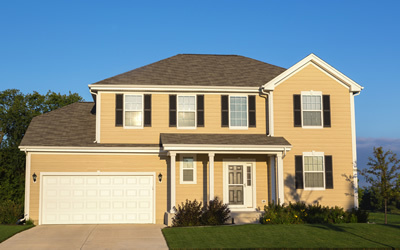 There are all kinds of homes, all kinds of homeowners -- and no matter how big or small your residential contracting business, ACCA has all kinds of solutions for you. To succeed on your own terms as a residential contractor, you must keep abreast of changing technology, new codes and standards, and fast-moving customer trends. You also have to know how to use technology in your office, market wisely in both old and new media, find and keep great employees, and follow all kinds of crazy business laws. Whew! ACCA is committed to your company's success as much as you are committed to your own excellence. Here are some of our favorite online resources for residential contractors. ACCA Members: Check out these interviews with top residential contractors from IE3 Magazine, archived for your listening pleasure and enrichment. Private Label Products: Are They Worth It? ACCA writes the standards for commercial HVAC design, installation, and maintenance. Learn to design quality residential HVAC systems using Manual J and Manual D, and prove it with an ACCA certificate. Classes available online for convenient learning. What's the best way to increase the number of Fall Preventative Maintenance agreements? How can I get my sales and service teams working together as a cohesive unit? How can I tell if I am handling overtime pay correctly? How do I convince my commercial service technician to service more residential clients? What's the difference between overhead and direct costs? What are some good ways to deal with emotional and irate customers? It's business. Don't start from scratch if you don't have to. Use these checklists to prove that your commercial installation and maintenance proposals offer real value. Each year, thousands of America's best contractors, including the country's top residential contractors, convene for the ultimate contractor learning experience. ACCA Conference features a special program track on residential HVAC, focused exclusively on residential HVAC owners and senior managers. Additional program tracks offer in-depth learning on leadership and strategy, business operations, building performance, and more. Interested in participating as a speaker? Share your experience and best ideas with your peers. Contact conference@acca.org for more information.